At first glance D.D. Armstrong’s debut novel Lynch’s Road, appears to be just another novel about crime, drug dealers, addicts, and violence within the black community, novels which at times fill my heart with despair as I begin to wonder ‘do we not have any other stories to tell?’. However, I was suitably surprised as this novel is slightly different from other similar novels, by virtue of its unique narrative structure and in-depth study of black identity, black consciousness and a dose of black history thrown in for good measure. The main protagonist is Gilyan Gates, an ex-drug dealer whose autobiography is read by three very different people: Clare, a media producer, Jade a young single mother and Ivan, a convicted robber, who is also Jade’s ex-boyfriend. Reading Gilyan’s story, they are each confronted with a young man attempting to navigate his way out of a life of violence and dealing drugs. Challenged by what he has read about the system of slavery and the ways and means slavers used to dehumanise and enslave people with an oppressed mentality, Gilyan draws a number of parallels with his current lifestyle and wonders if there is more to his life than dealing, keeping his ‘customers’ in check and avoiding the police, all for the sake of making money. So begins his journey to enlightenment and freedom, with some help from thinkers like W.E.B DuBois. But as with all such journeys he is met with opposition and hinderance sometimes from the people around him but mostly from within himself. D.D. 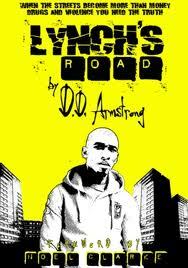 Armstrong paints a very bleak picture of life on the streets of London, in particular for young black men. However, he counters this by looking back to and citing past black leaders like DuBois, Malcolm X, Martin Luther King and Marcus Garvey and their implicit belief that that black people were not created to be slaves or to be second-class citizens and their quest to install a sense of pride in our heritage and history. The question he seems to be posing is that with all the wealth of knowledge that we have at hand, with all that our forefathers and mothers fought for and died for, how has a generation of people become part of the very system that they would claim to oppose? And what or where is their way out? Meanwhile as Gilyan’s journey progresses, his readers, Jade and Ivan, embark on their own journeys as they too begin to realise that there is more to the life they are currently living. For Jade it is the longing to have a honest and positive man in her life who can both love and support her as well as be a role-model for her son. For Ivan, as he resides at Her Majesty’s pleasure, he begin to see the road he has taken will continually end up at prison, or worse, if he does not change. For these two, Gilyan Gates’ autobiography presents itself as a blueprint for change, for aspiration to a better life, for the discovery of one’s true self, rather than the identity that societal and cultural prejudice has dictated. For Claire, well, we never really get to find out exactly what impact the novel has on her life, though one can guess. Without wanting to give the plot away, I will just say that this was one part where this novel fell short for me, as Claire’s character seemed to serve as nothing but a vehicle to move the plot forward. She features in the first, thrillingly dramatic chapter and then disappears except for a brief mention near the end of the novel which merely confirmed what I had already guessed. It would have been interesting to know how Gilyan’s book impacted on her, especially given what happens to her. That’s all I’m going to say. If you want to know more, read the book! Lynch’s Road is a passionate and an impressive read. It is also a very ambitious novel and tries to do and be many things at the same time. It is very thoughtfully written, clearly a lot of reading, research, and debate (no doubt) and it really shows. It is not, however, the easiest of books to read, there were intensely graphic scenes of violence and torture made me put the book down, to regain composure before continuing. At other times, especially when quoting long passages of text from leaders like DuBois, the novel does come across quite preachy (something Ivan notices) and can read like a text book of cultural theory. I found this a bit jarring at times and it lessened my enjoyment of the book, because sometimes even though you know the message is a good one and worth paying attention to, you don’t necessarily want to be preached at, you just want to enjoy the story and the message will sink in. Because of this, I think the novel will polarise a lot of opinion. Not everyone will like or agree with the points made. That doesn’t make it make it a bad book, on contrary, it makes a book worth reading because given our post-riot times, Lynch’s Road is a timely novel that will stimulate and drive debate about the many negatives that affect the black community, and cause us to think about what we as a community can do about it. For that alone, I say just read it. Posted on 28 March 2012 4 February 2018 by queenpea77Posted in ReviewsTagged black history, Black-British lit, fiction, slavery. Brilliant review. From the moment I started reading this book I could not put it down. It was inspiring, thought provoking, humorous, heart wrenching, but in all thoroughly enjoyable. It is one of the most powerful books I have ever read and touched me to my very core. At times I found it difficult to read not because of the dialect or text but due to the fact i actually know & love people that he depicts so graphically in the book. Highly recommended. Great book. Truly great author. The way Lynch’s Road was written, a book within a book, the graphic descriptions without going into depth, it to me is the truth and closest connection yet with today’s youths and even a little sociology in there. So much to learn. Very insightful. Yes it is gritty, but so is life. This merely shows the tip of the iceberg in regards to D.D Armstrong’s talents and shows that he does not shy away from such truths. I would recommend this book to anyone who enjoys reading and learning a little something at the same time. I found this book thrilling, funny and educational, with a bit of romance thrown in for good measure!!! Lynch’s Road is a good read for all, especially those struggling with the role they wish to play in society and the role they maybe pigoen holed into by their colour, class, background etc. Don’t read the reviews, read Lynch’s Road and see for yourself!! Thanks for the comments all. If anyone else reading this review would like to get a copy of the novel, it is being sold by Smash & Grab Books. A link to the website is on the Links Menu above.